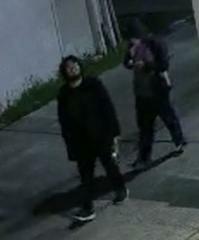 With the public’s help, San Mateo Police Department officers have identified and arrested two suspects in connection with several intentionally set, early morning garbage bin fires in downtown San Mateo. San Mateo, CA – On Thursday, March 21, 2019, at 3:23 a.m., the San Mateo Police and San Mateo Consolidated Fire departments were dispatched to a fire in an alley behind the first block of Second Avenue in downtown San Mateo. As Fire and Police arrived on scene, they determined the fire was set in a group of garbage cans and located additional garbage cans on fire in the area of the initial call. It is thanks to our community partnerships, the availability of surveillance, and swift actions by investigators, two downtown arson suspects were arrested. Our San Mateo Consolidated Fire Department deemed the fires to be suspicious and we launched an ongoing, around the clock arson investigation. Officers increased patrols downtown and canvassed the area for additional surveillance or witnesses. Later that afternoon, San Mateo Police distributed a press release to our media partners and shared images of the suspects on social media platforms. Within a few hours of the broadcast, anonymous tips began pouring in and officers sifted through several investigative leads. Teams of officers were deployed, and a manhunt went underway that resulted in the arrest of Carlos Cristerna. According to officers, Cristerna was wearing the exact same clothing seen in surveillance at the time of his arrest and evidence to the crime was found inside his home. 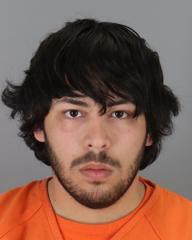 San Mateo Police continued working this case in search of the second suspect. Additional information led officers to the home of Wilbert Ramirez where he was arrested and evidence was discovered. 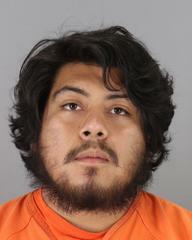 Cristerna and Ramirez were booked at San Mateo County Jail on arson related charges less than 24-hours after they committed their crimes. Law enforcement is solving more crimes thanks to the use of surveillance cameras and license plate reader systems. The San Mateo Police Department is grateful for the strong partnerships we have with the Downtown San Mateo Association, the press, engagement on our social media platforms, and surveillance technologies. Together, we’re able to promote safety, solve crime, and make San Mateo an unfriendly place for criminals. Our officers regularly canvass for surveillance and you can help us by registering your cameras at www.cityofsanmateo.or/NEST to notify SMPD where cameras are installed in our community.